Having your pet spayed or neutered can be crucial to their long-term health as well as help reduce the number of homeless and unwanted pets in our county’s shelters. Spay surgery (also known as an ovariohysterectomy) is the removal of a female pet’s uterus and ovaries to prevent pregnancy and any further heat cycles. This procedure also prevents many common cancers and infections that can occur in these organs in the future. 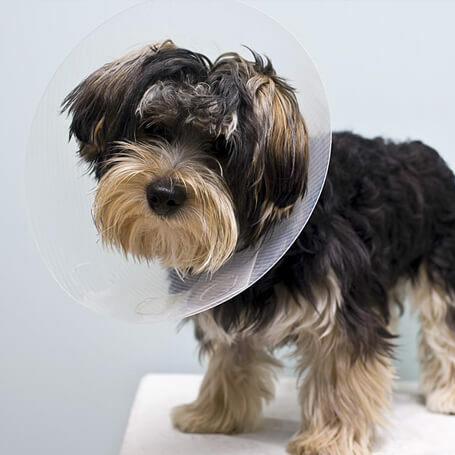 Neuter surgery (or castration) is the removal of a male pet’s testicles. This prevents your pet from impregnating others as well as the possibility of testicular cancer and certain prostate disorders. Like any major surgical procedure, a pre-anesthetic exam is required and a blood test is highly recommended before your dog or cat undergoes surgery and anesthesia.